Do you like cooling down on a hot sunny day? I know I do. Ice has the ability to change your core temperature, and while that’s the purpose, at times it can be extreme. Remember how I just said “core” temperature a moment ago? On average, you experience a 98.6 Fahrenheit of warmth circulating throughout your body. In similar ways, when you experience a lower back pain injury, your body temperature will increase; no thanks to the activity you were involved in. Ice Cubes In A Bag Or In A Towel Safer? Don’t let up now, continue your path to a pain free lower back by learning about how to ice and heat here. A solid does not equal water, and water does not equal a solid. What’s meant by this is that the feel of a solid block of ice does not feel the same as water in its liquid state, and vise versa. Its the properties of temperature and stimulation that separates the two. What if you’re caught in type of thinking? In this frame of mind, you’ll never think about the risk you are taking when applying a bag of ice to your lower back for an extended amount of time. Ice should be used for when you’re pain is fresh and acute. Otherwise I wouldn’t bother, because you could cause irritation to your nerves. When you press a bag of peas or ice to the targeted area of pain in your lower back, you have this thought to think the inflamed area will decrease in magnitude in a matter of seconds. “WE” don’t know and hear our body well enough, so we don’t make the best long term decision for our health. Instead we base things off on which one is the best for me for this moment, right here in time. Please hear me out…A bag of ice can not penetrate far enough into your back. Your Back is thick, most of the muscles and spinal joints are going to be well out of reach. It doesn’t add, or multiply into a greater outcome. Whether you use a towel, or have ice ready to go in a bag, the fact is, your tissues act as like the security system from not letting you through to your prize…the root of inflammation. Neurological Overreaction. Your lower back will tend to overreact to anything that causes a weird change in your brain. The receptors in your brain change the state of your thinking when something cold is applied to it. See how one trigger causes the next to happen? and its instantaneously! Often feels like a hazard. …Your back is full of trigger points, and pressure sensitive spots that you associate with pain and stiffness in your lower back. Think of it as a needle being pinched into your skin. Not very soothing is it. There are tiny patches of muscle tissue that are cramping up in a centralized location, and when the ice hits the location you get more of a jump like a muscle spasm is present. I’ll be completely honest with you, I do use ice to relieve and remove my lower back pain. Most all the time. Not the normal type of ice, or cool pack like most times though, I use a COOLING gel ice that comes in an amazing 16 oz container! I couldn’t give you the exact times my back has flared up. I used to pop a quick pain reliever, and combine it with a short term muscle and joint topical relaxant. But then, after my injury to my spine(L3-L5, herniation), I changed my tactics. I immediately invested into a more chronic lower back pain solution that would not only relive me at any time of the day, but when I had to exercise. My best friends and family would say I couldn’t live without soccer, and it was not a matter of if, but how…how will I relieve my joints and muscles from feeling discomfort before and after a long activity? Ice and menthol are on two different playing fields when you can use it as a pain relief cream. I am putting the all natural chemical components of the mixture to work, and using the mixture of compounds to not only cool my back, but to heat up, and feel the relaxed, and soothing sensation. More of the Menthol agent, and less of the complaining muscle and joint pain. acute pain. I liked to use this after a nice workout when I don’t want to use a NSAID. Sub-acute. 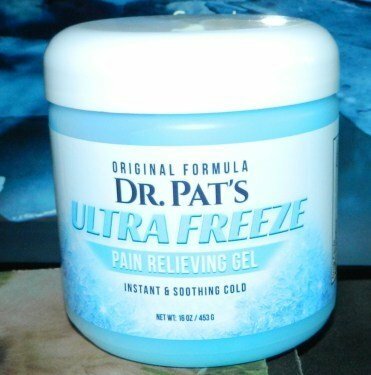 I use it for the same use if I had pain lasting less than 2 weeks. This is full of completely healthy ingredients that work well together to counteract the pain I have. One of the many ingredients I like is the use of Menthol. It activates the cooling sensation to a tea. I rest better knowing that my inflamed area will decrease in a much shorter amount of time when I use this, then always relying on conventional methods like ice. If you have to use ice that is convenient for you, there are replacement methods that you can take for the brief moment that are better than a block of regular ice. Another reasonable solution would be a cold pack. Cold packs can stay attached or not be attached to your back. You can walk around with them wherever you need to go if need be. Cold Showers are great because it will relieve you of not only the stress you have in your mind, but it will only be for a short amount of time with a high volume of cold water rushing at you. It is a simple as that! Next time you go to reach for those ice cubes, do know that there are better alternatives out there. Don’t waste your time on those peas, or ice bags. If you would like to know more, have questions, comments, or concerns why don’t you shot me a message down below. I’ll get back to you in less time than you know! Is Heal N Soothe A Scam – A Gem Under-looked? I have found yoga to be self healing and good for the back or to prevent aches in other parts of the body as well. Is chronic back pain something you think can go away by doing yoga? Yoga absolutely has a positive effect, as well as your lifestyle. For aches that are large it works good. As far as a cure, it could be minimal. It eases the pain significantly, and makes it feel like it’s not there at times. I think chronic pain can be significantly reduced in pain, provide better muscle comfort and align the spine. Better overall benefits than conventional options. Do you have chronic back pain? When to apply heat and when to apply an ice pack have always been a bit confusing to me. Now that I’m getting older, I do get back pain periodically. It’s great to know what I can use that will be beneficial, especially since an ice pack is really inconvenient to use anyway. Yes the two can be very misleading. If you apply heat to a fresh wound first It could could counteract swelling. Ice soothens and brings down inflammation as you know. Ice packs generally are ok, but they can cause more irritation than anything else,. That’s why I welcome gels like the ultra freeze into my life. You’re welcome! I’m here to help, you’re welcome! I really like the organization of your website. Your post was very informative and gave the real reason’s why ice is not good. I like how you presented the alternatives to putting ice and why they were better. I believe that ice can be a decent approach for inflammation, but it’s becoming more unsafe from all the psychological, and possible stiffness issues it brings. Thank you! Take care. This is perfect. Also, thanks for the tidbit about when to use ice, I never heard that it should only be used when the pain is new. It’s all too important to know when to use it, as well as when to put it down. When the pain is new that’s when it’s best, because the faster you do it, the sooner the inflammation will go away. Use heat when it flares from time to time. You’re welcome! Thanks for the useful information. That was a great article. 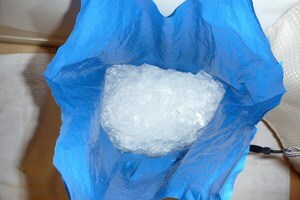 I can’t imagine how many people actually think ice is good for the back pain. I guess I should be reading more. I’m on the same boat! I can’t emphasize it enough to the people in my life, friends, and family. Ice is alright for recent inflammation, but it doesn’t solve a long term problem. If it’s continuous use it only causes further fluctuations in your brain receptors, and it cause more of a chill…sort of speak. Thank you! We use ice all over the place! Glad to have chanced upon your article, now I will tell my dad not to use ice on his chronic pains. I guess ice is still alright for my eczema kids when their skin flares up? We all do, yes! Good decision. Chronic pain should be treated with ice when conflicted in a large injury, it helps reduce swelling. On it for too long can create neurological sensitivity, and all the often than not trigger points. Yes you can. Apply an ice cube or two. You can always use a cold compressors. I have minor back aches in my lower back. I usually try to prevent them by using kinesiology tape during the activities that aggrevate it. it works wonders. I think kinesiology is a great option. I started using it about 4 months ago for my ribs. 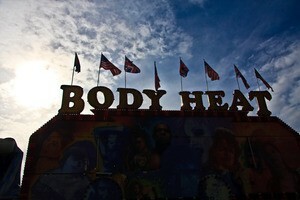 Used some for my back thereafter. It does the work for a workout. I thought I was about to be out for months, but it helped In a couple weeks.